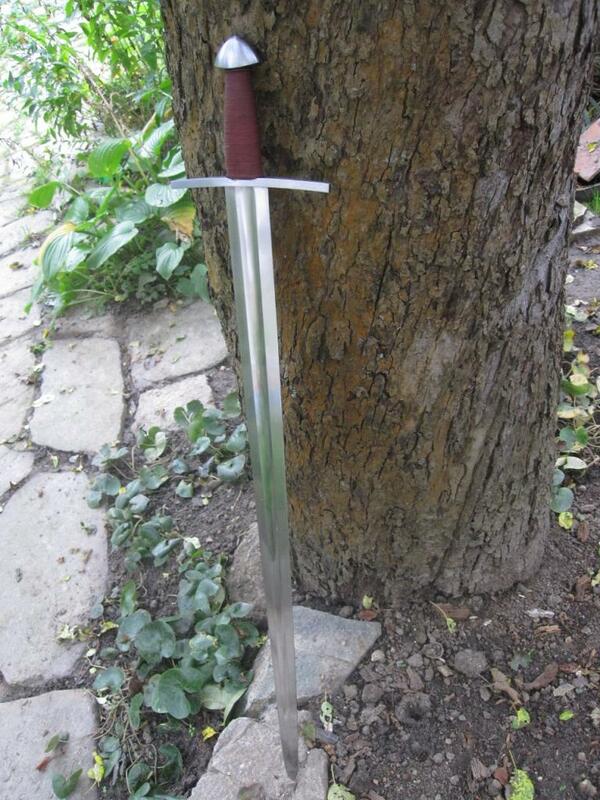 Well, here is my attempt.The blade is 78,4cms long, the grip 9,7cms. It weighs 1030g, and it´s blunt. I do not think it was an attempt, the sword is a success. I agree that it looks a little off with the small pommel but if that is the historical model, well there are much more bazzar looking swords then that. Xa.9 looks kinda weird but my A&A reproduction handles great. I love this sword!!! 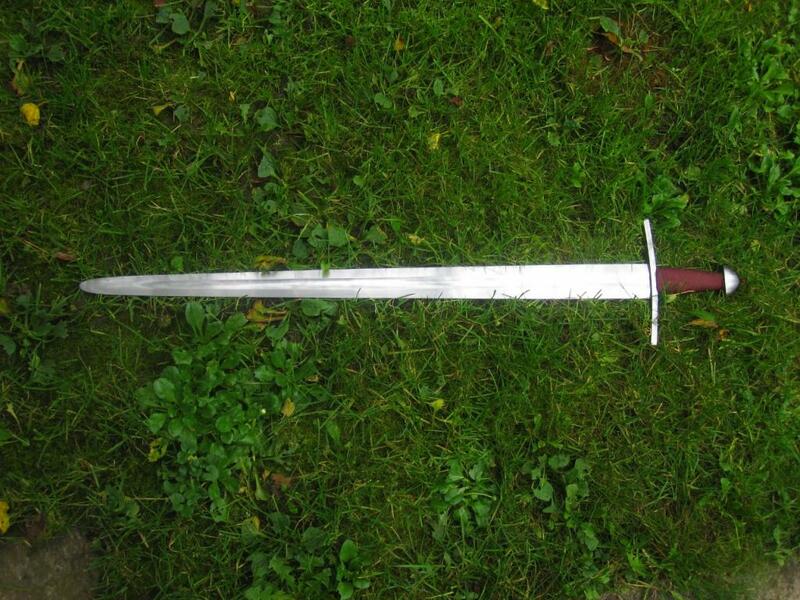 That said, I think the thickness of the grip towards the bottom helps to emphasize the tiny pommel. A thinner grip with straight sides instead of curved would have been better IMO. Again, I love this sword. The proportion of blade to guard works really well, and the slight downward curve in the guard is magic! I think the pommel is a very handsome size for this sword. The whole piece is really nice! A thinner grip might make a big difference, but it actually looks great as is. A slightly curved cross and Brazil nut pommel....looks great, a cool combo not often seen. Welllll - IS the pommel too small, or just VISUALLY small? I'm guessing you got a good POB out of this construct.... so all the WEIGHTS are likely just perfect . It's funny, sometimes a visually "big" pommel, depending on shape, can be pretty weenie in the weight department . 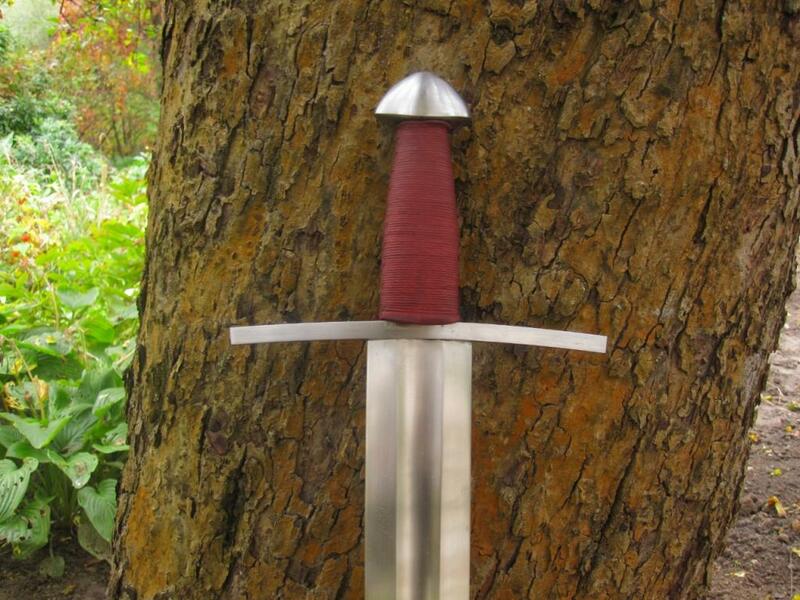 I agree with Tim; a thinner grip would work better on this sword. Otherwise, I think it can work.